About Us - Kepley BioSystems Inc.
Christopher Kepley and Terry Brady met at Luna Innovations, a Virginia-based tech company, when they were working together as an executive scientist and corporate advisor, respectively. When Kepley was later recruited back into academia, they met and devised an innovative business model to drive enterprise from an academic foundation with compelling equity distribution and managerial responsibility for biotech scientists. The model established Kepley BioSystems Incorporated (KBI), and they named, Anthony Dellinger, an outstanding nanoscientist in the final months of completing his PhD as president of KBI with a generous equity stake in the enterprise and an initial funding plan to qualify for non-dilutive SBIR and other government-sponsored research grants with applied scholarship and a commitment to identification and pursuit of global solutions. Another vital component of the model included the affiliation with the university where Kepley had returned to academia, which afforded access to collaborative resources and a state-of-the-art research laboratory. The first KBI product grant submission was for a biomedical invention that failed to win funding on the first pass, despite encouraging scoring that reflected the quality of the research and promising composition. The second KBI invention took biotech far afield from medicine or healthcare into a space without competition and intellectual property barriers: the crustacean fishing industry. As lobster and crab traps are typically baited with wild fish and thus lured into traps, the hypothesis was that the crustacean olfactory system and consequent attraction could be stimulated by mimicking the molecular composition of decaying fish and thus, with a synthetic and entirely sustainable bait. In researching the grant, a $20 billion market in crustacean bait annually consuming billions of small, schooling “baitfish” promised the potential to replenish an increasingly threatened, key species in the food chain while disrupting a global industry. 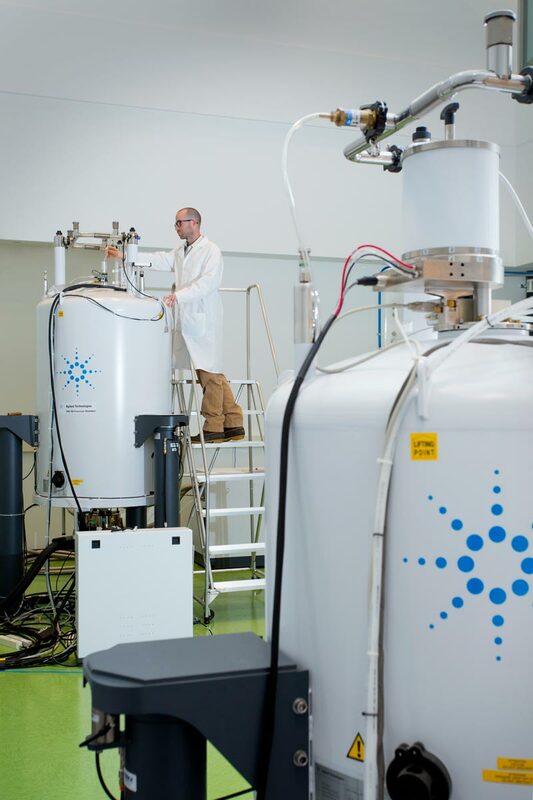 The hypothesis with respect to the precise chemistry of the olfactory stimulating compounds was verified by HPLC as the basis for continued research as proposed in the second KBI grant submission. That publication, "A sythetic crustacean bait to stem forage fish depletion", can be read online through the journal Global Ecology & Conservation. 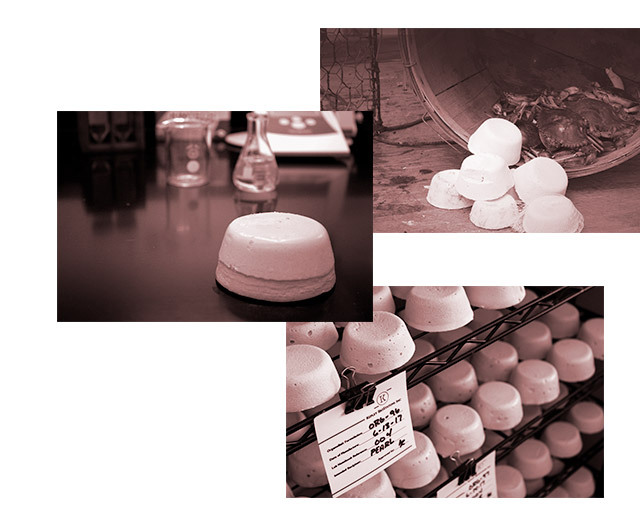 KBI was awarded an NSF Phase I grant and embarked on the audacious development work to make a synthetic bait. Achievement of Phase I milestones was followed by a diligent and successful submission for Phase II funding. This allowed for field testing with market enthusiasm and promising efficacy, but the private funding needed for commercialization failed to materialize despite publications and strategic focus on public relations efforts to build awareness and investor interest. KBI was perceived as a bait company rather than a biotech by those most likely to grasp the science of the innovation, and the company could not scale up for profitable production using NSF funds, earmarked exclusively for research activities. Final optimization of the formulations and completion of the automated manufacturing module have nonetheless continued with gratitude for the NSF investments to date. In the course of the synthetic bait research and development, KBI acquired unparalleled knowhow and market insights into the crustacean fishing industry – and increasingly, the recreational sector, worldwide. The KBI founders considered a strategic detour into aquaculture to address a myriad of broad, legitimate and scientifically challenging industry opportunities, but ultimately remained focused on a mission to achieve global solutions through disruptive innovations that built on the core biotech competencies of the team. While field testing the synthetic bait, eel and whelk fisheries expressed interest in using the bait in their traps as a substitute for wild horseshoe crabs; their interest brought this ancient arachnid to the attention of the KBI team. Two NSF-sponsored student interns reviewed the horseshoe crab literature and wrote a review paper that catalogued unsustainable biomedical and fishing industry practices that appeared to be threatening the viability of the species and an array of shorebirds that depend on their annual spawning for sustenance during migration. This foray revealed a raw materials market in excess of $100 million and a biotech endotoxin kit market of $1 billion based on the “harvesting” of a unique component of the horseshoe crab blood with sensitivity to gram negative bacteria in parts per trillion. A broader understanding of established practices presented a myriad of opportunities for provisional methods and device patents and the husbandry of the animals in a natural habitat with a robust food supply designed to enhance hematologic wellbeing and vitality. How to feed “ranched” horseshoe crabs quickly focused on worms, a staple of the horseshoe crab diet; however, cultivating annelids as a primary food source posed a challenge due to a lack of protein and nutritional density. That is, worms are typically comprised of about 30% protein and 70% “empty stomach.” This suggested yet another opportunity to develop biologically enhanced worms as living, encapsulated carriers by engorging that 70% with optimized nutrients. 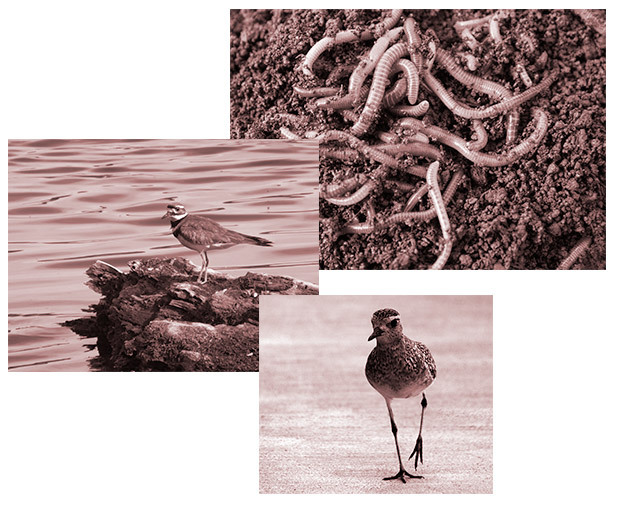 As the KBI team developed additional methods for annelid farming to produce horseshoe crab food, the enriched worms offered a natural alternative to fishmeal in aquaculture, as fish have been attracted to live worms for time immemorial. This revealed yet another global solution: to conserve wild fish caught to feed farmed fish in a $185 billion aqua feed market. The nutritionally dense formulation also let to a provisional patent for a migrating shorebird food as an alternative to the otherwise threatened horseshoe crab eggs with a unique “caviar” matrix to mimic a primary foraging target. Once again, the scholarship to ensure a compelling value proposition revealed yet another prospective global solution in a $220 billion poultry feed market, largely based on the same fish species as ingredients in bird feed – and as an organic alternative to feedstock augmented with hormones and antibiotics. From the crustaceans to arachnids to annelids, to shorebirds, every application of biotechnology reaffirmed the core strategy of building on biotech competencies, not attempting to limit the direction of the business to a single industry in aquaculture. The husbandry of horseshoe crabs was further validated and endorsed with an evolving collaborative network that has included the Georgia Department of Natural Resource and NOAA, SeaGrant in Coastal Georgia. 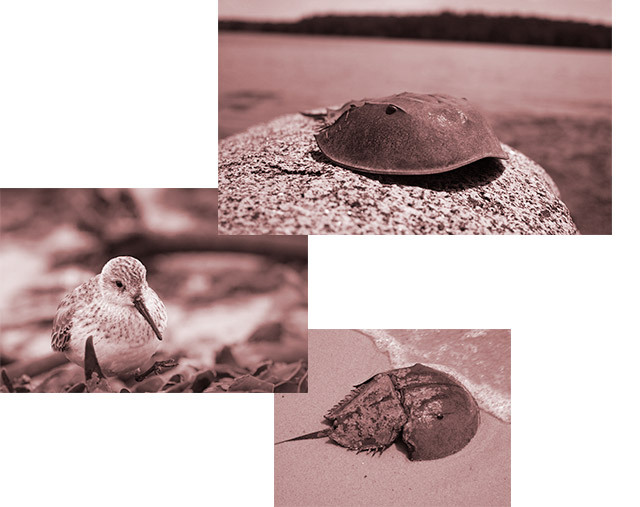 A small estuary refuge and a limited number of horseshoe crabs with systematic, supportive management could meet current biomedical industry demands while providing a compelling rationale for gradually prohibiting wild capture of more than 600,000 crabs every year – and thereby replenishing the species and the birds that depend on it. Successful, proven “ranching” of horseshoe crabs would also promise the possibility for an unlimited supply of the blood and the prospect for addressing yet another global challenge: Given parts per trillion sensitivity for gram negative pathogens, a bedside screening test for asymptomatic septicemia could allow for early intervention and appropriate therapy for 2 of 3 ICU hospital acquired infections. Such consistent, early intervention could likewise significantly reduce the risks of antibiotic “superbugs” through treatment before the infections could overwhelm the drugs. The epidemiologic possibility of a world with untreatable infections is looming without new tools and medicines to treat sepsis, the third leading cause of death and posing a $1 trillion global healthcare burden. So, today, strategically speaking, Kepley BioSystems remains a biotech company addressing billion-dollar, global solutions with disruptive innovations. This promising foundation has achieved a myriad of critical milestones in pure research and non-dilutive funding. Collaborative equity partnerships are vital to leveraging and seizing the vast potential for this novel biotech enterprise going forward. Dr. Anthony Dellinger serves as President and Scientist. He has a biology background, including marine sciences. Dr. Dellinger’s expertise includes attractant molecular matter and chemistry, facilitating the invention and engineering of synthetic agents. He holds a BS in Forensic Molecular Biology with a Minor in Chemistry and a PhD in Nanoscience. He has authored or co-authored numerous peer-reviewed publications and has collaborated with Dr. Kepley for a decade in academia and industry. Dr. Dellinger’s PhD project was the stimulus for this technology, and he continues with these scientific refinements. He was recently named the inaugural Entrepreneur of the Year for 2015 at his alma mater, the University of North Carolina. 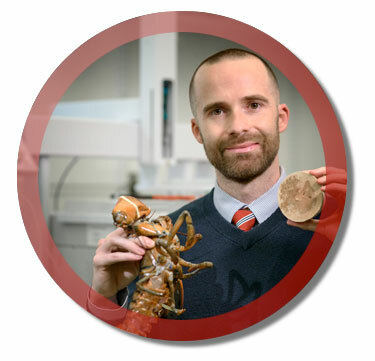 He is one of three crustacean panelists selected for the 2015 International BioMarine© conference. 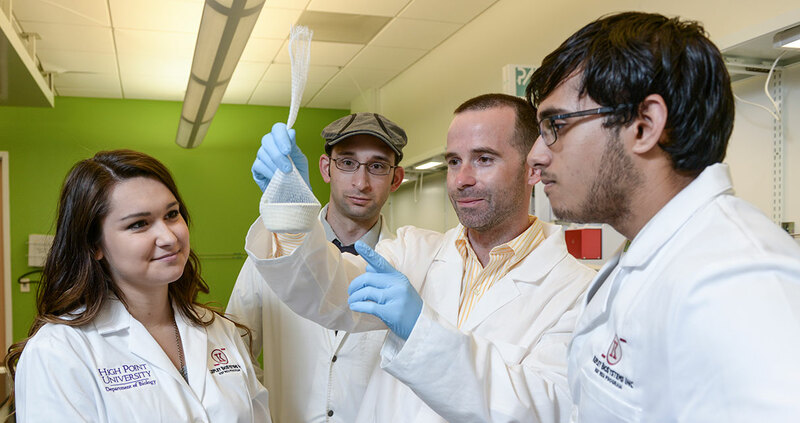 Professor Kepley has a comprehensive biology research background and is recognized internationally for his work, much of which he has shared in 90 peer-reviewed publications. In business, Dr. Kepley was the Group Leader of NanoBiology at Luna Innovations, where he increased revenue by $2 million during his three years as a full-time executive. His inventions have resulted in 11 issued patents for products in active commerce, notably, the first basophil-specific antibody (2D7) currently sold through several biotech companies. Dr. Kepley holds a tenured professorship at the Joint School of Nanoscience and Nanoengineering. He has a BS in Biology, a PhD from Medical College of Virginia, and an MBA from the College of William and Mary. Terry Brady’s 35 years of leadership experience includes global sales, marketing, invention/entrepreneurship, and executive management. Seasoned by early positions in multi nationals, including Johnson & Johnson, Richardson Vicks (purchased by Proctor and Gamble) and Union Carbide, Mr. Brady ultimately served as president of International Technidyne Corporation (ITC), Edison, NJ (now Accriva Diagnostics, San Diego, CA) and as founder, president and CEO of Array Medical, Inc., Somerville, NJ. In both roles, he led the growth and ultimate divestiture of the two companies: ITC to a Fortune 500 leader, ThermoElectron (394 in 1999); and Array to Helena Laboratories. In addressing customer needs, Mr. Brady was the lead inventor of four US patented products and numerous others with FDA-approval that remain in active commerce – many of which still enjoy segment dominance. During the first year of Array Medical operation, he conceived, developed, and conducted clinical trials for FDA approval of a major cardiovascular product. Successfully manufacturing and marketing this product through 50 worldwide dealers epitomized Mr. Brady’s mastery of traditional manufacturing operations, direction of an in-house marketing agency, and of establishing hundreds of relationships in a global dealership distribution business model. 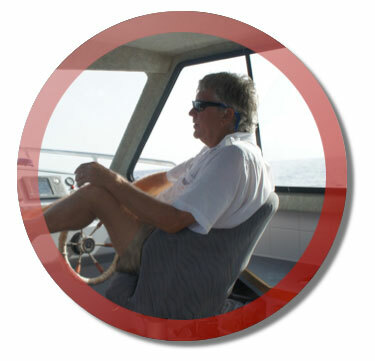 Most recently, he has qualified for a commercial fishing license in relation to this bait invention and hands-on validation of the technology with spiny lobster and stone crab. Lance Tōland Associates Ltd. was established in August of 1975 after founder Lance Tōland recognized the need for a monoline aviation insurance agency with both insurance savvy and a dedicated commitment to clients. With more than 30 years in the industry, Lance Tōland is an established leader in the field of aviation insurance services. His main office in Metro Atlanta is just minutes from facilities for every major aviation underwriter in the industry, allowing the agency to maintain close and productive working relationships with senior industry specialists. 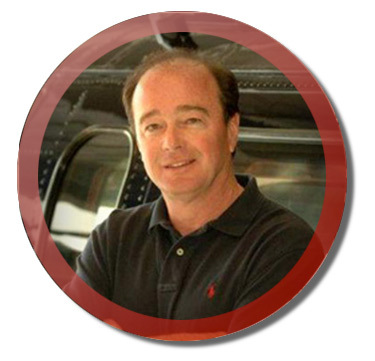 Lance is a published author, sharing his expertise in publications such as Business and Commercial Aviation, Forbes and Falcon Owners Newsletter. His regular aviation insurance column, "Ask Lance Tōland," appears in the Pilatus Owners and Pilots Association quarterly newsletter. Georgia Governor Sonny Perdue appointed Lance to his Aviation Task Force, which investigated state aviation resources regarding risk management, safety practices and overall efficiency. The undertaking resulted in a total revamp of the State's aviation assets, saving Georgia taxpayers millions of dollars and the implementation of many safety initiatives. 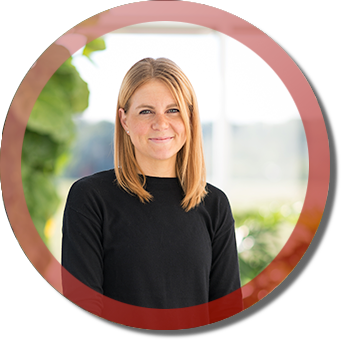 Dr. Kristen Dellinger is a research scientist at KBI with over 12 years of diverse research and development experience having led an analytical chemistry instrumentation facility housing several million dollars in equipment, optimizing data acquisition methods and analysis. Her work has ranged from the development of an oral insulin delivery vehicle to investigating the effects of endocrine disruptors on breast cancer. Dr. Dellinger was awarded a B.Sc. and an M.Sc. in Chemical Engineering from Queen’s University and earned a Ph.D. in Biomedical Engineering from McGill University, for her work on developing a liposome-based estradiol delivery vehicle for the treatment of atherosclerotic inflammation. 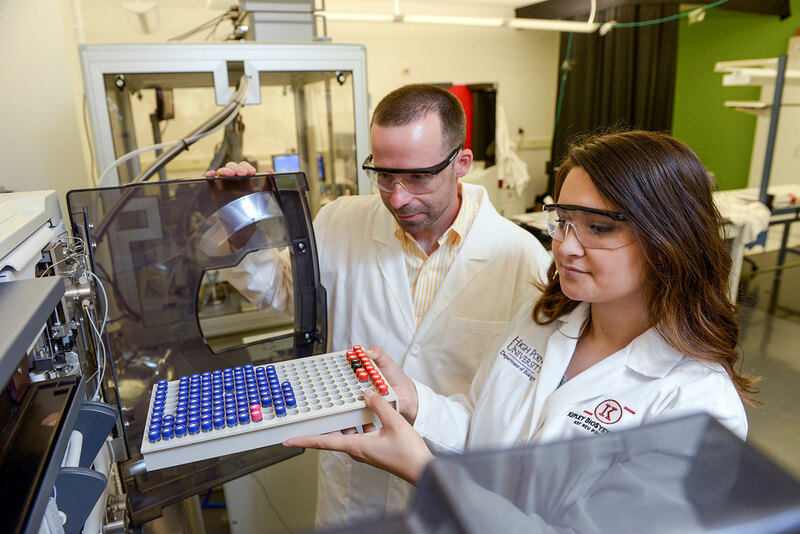 Dr. Dellinger has authored several peer-reviewed scientific publications and has collaborated with industry partners and scientists on highly technical and diverse projects, ranging from biomedical device development to semiconductor fabrication. 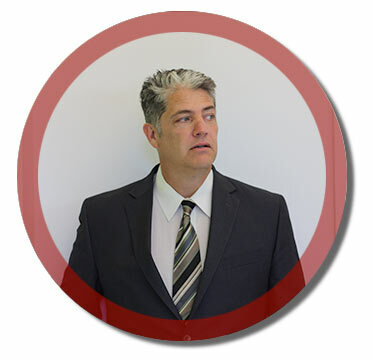 Dr. Kulberg is a senior research scientist at KBI with over 25-years of research and development experience in molecular biology using several model organisms including microbes (e.g. yeast, bacteria), animals (e.g. worms, fish), and plants. Dr. Kulberg was awarded a B.Sc. in Biology from University of South Florida and earned a PhD in Biology from the University of California, San Diego, for her work in understanding DNA replication and transcription mechanisms of bacteriophage T4 in Escherichia coli bacteria. She conducted her postdoctoral research in DNA damage cell cycle checkpoints in the yeast Saccharomyces cerevisiae at the University of California, San Francisco. She also worked as a senior staff scientist at Syngenta (Durham, NC) developing plant molecular biofarming techniques to produce antibody drugs. 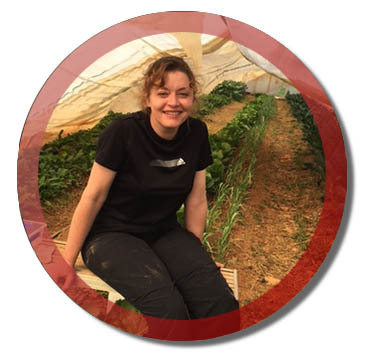 Dr. Kulberg has authored numerous peer-reviewed scientific publications, and has worked as an independent scientific consultant, scientific writer, and founded her own aquaponics and traditional soil-based urban farm enterprise. She regularly works in partnership with local organizations and educational institutes to build capacity through the development of commercial agri-business workshops, health education, and nutritional training programs as a means to enhance community health and environmental sustainability. Lee met Dr. Kepley and Dr. Dellinger while pursuing his degree in Applied Science in Nanotechnology from Danville Community College. This meeting was especially fortuitous for Lee because it not only allowed him to learn from their vast knowledge, but gave him hands-on experience in the Kepley Nanobiology Lab, experience he could not have gotten elsewhere. While finishing his degree, Lee became involved in the early development of the synthetic crustacean bait that would later be branded as OrganoBait. 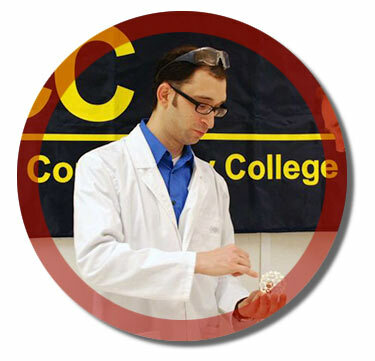 Jordan Krisfalusi-Gannon is a biology major and lab assistant from High Point University. After being heavily involved in community development and social justice in the Piedmont Triad area through the Bonner Leadership Program, she is excited to play a part in bringing ethics to a global scale through the development of OrganoBait. 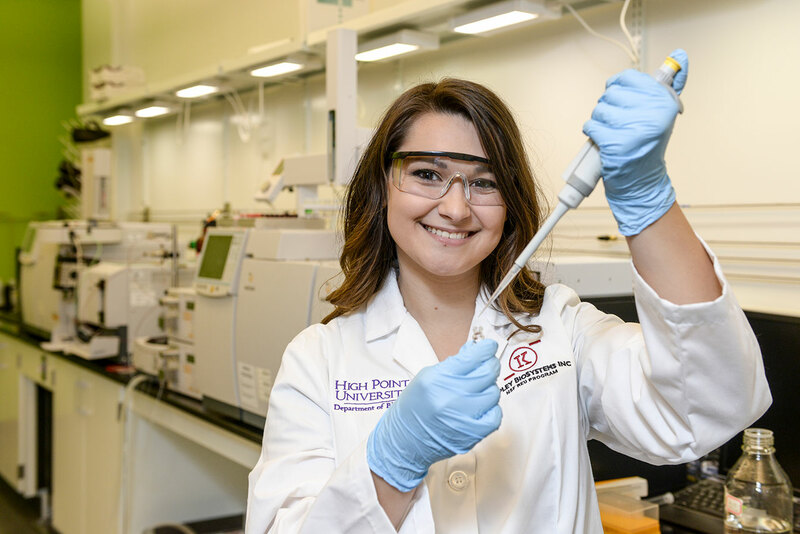 Jordan is interning with Kepley Biosystems and conducting research sponsored by National Science Foundation’s Research Experience for Undergraduates. 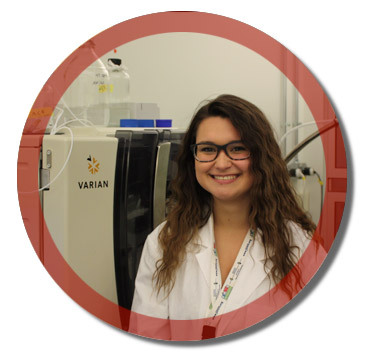 Through her research, Jordan is helping to improve the composition of OrganoBait, while gaining valuable research experience and training in lab technique and instrumentation. The National Science Foundation funds a large number of research opportunities for undergraduate students through its Research Experience for Undergraduates (REU) program. Kepley BioSystems Inc is proud have been selected to be such a site. 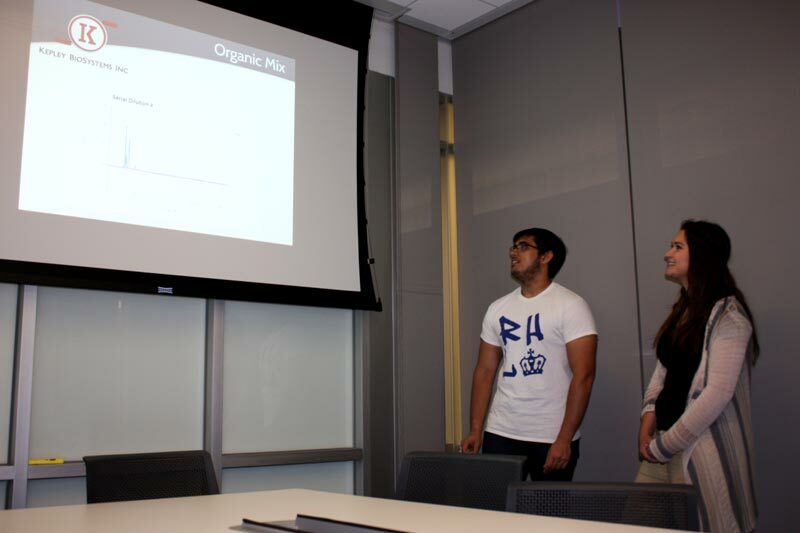 Under the REU program, undergraduates gain valuable experience assisting in the research being performed by Kepley BioSystems by working closely with our team. Waleed Ali is a rising sophomore at Columbia University majoring in biology, utilizing the NSF REU program in order to explore the finer parts of analytical chemistry and the rapidly expanding field of nanoscience in general. 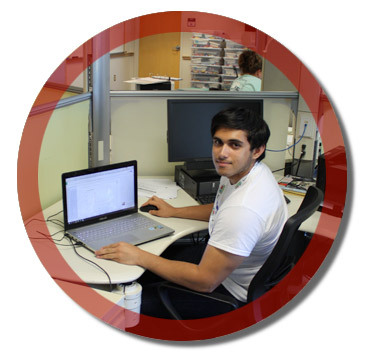 Previously, his research experience involved working at a pathology lab in which his most recent work led to a poster at the national USCAP (United States and Canadian Academy of Pathology) conference last spring, as well as an NSF sponsored internship at a biotech company dealing with isolating circulating tumor cells, in which he cultured cells and worked on process automation. In his spare time, he enjoys playing quizbowl, obsessing about proper data visualization, and long walks on the beach (searching for crabs). Cammie Hobbs, the feisty Kepley BioSystems Lab mascot, enjoys a life of leisure while overseeing the production of OrganoBait. Indigenous to the nearby rivers in Greensboro, North Carolina, she joined the Kepley team in early June 2016. 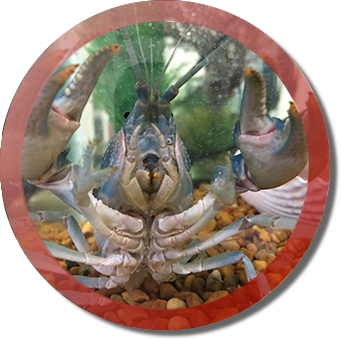 Crayfish, also known as freshwater lobsters, share many biological commonalities with their larger arthropoda phylum. When not snacking on OrganoBait, she can be found studiously moving stones around in her tank. 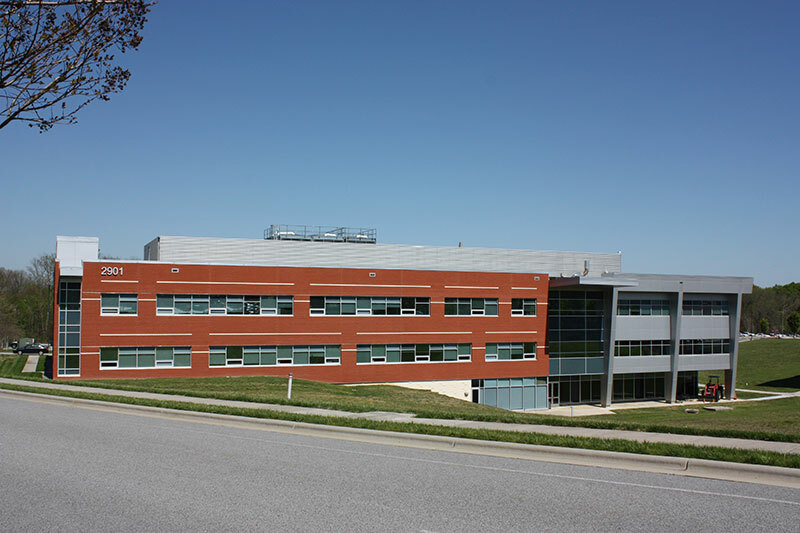 As a member of the Nanomanufacturing Innovation Consortium (NIC), Kepley BioSystems Inc is currently located at the Gateway University Research Park facility in Greensboro, North Carolina. 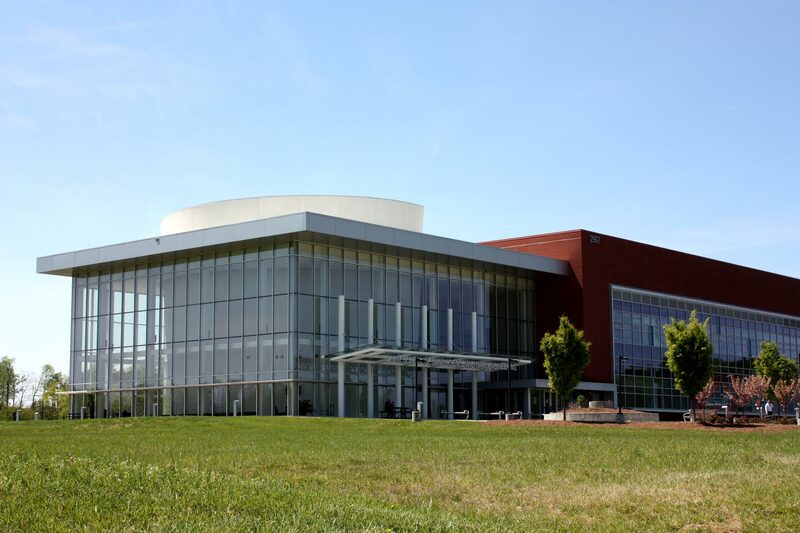 The NIC enables access to the adjacent Joint School of Nanoscience and Nanoengineering (JSNN), a state-of-the-art research and education facility. 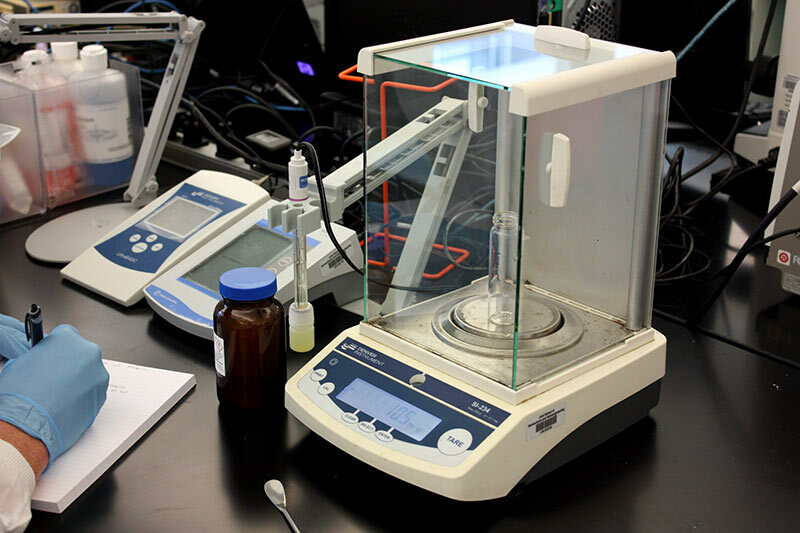 The Joint School provides access to unique capabilities for product development, analytical services, materials testing, analysis, and evaluation, perfectly suiting the needs of Kepley BioSystems as we further refine and adapt OrganoBait.